Venero Armanno, Melissa Lucashenko, Lauren Daniels. The event was organised by Society of Women Writers Qld Inc. , promoted and advertised by both the SWWQ (and lots of other people) and the Brisbane City Council, and the Brisbane City Council through The Lord Mayor’s Writers and Residence scheme provided funding for the event. 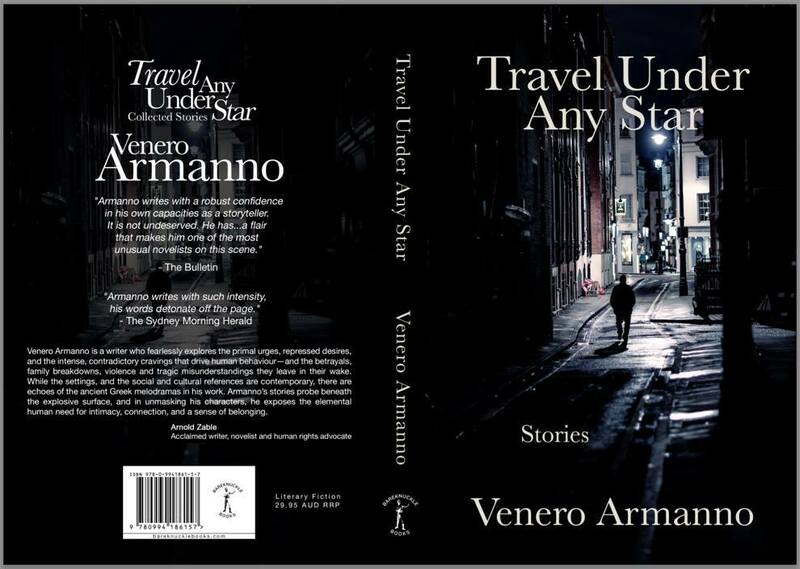 It was presented as a conversation between Lauren Daniels, Venero Armanno, and Melissa Lucashenko. The Councillor who attended on Sunday representing the Lord Mayor was Cr. Steven Huang from Macgregor ward and the librarian representative who tied it all together was Nadja Beliemier. They both gave warm welcome speeches acknowledging the Elders living and past before speaking. Nadja focused on the role of libraries and urged people to join if they were not already members, and she gave some background on all the speakers. Councillor Huang reflected on the books he had loved growing up. One book which particularly moved him was To Kill a Mockingbird. After an articulate introduction, quoting the story of The Epic of Gilgamesh, Lauren asked Melissa to read an excerpt from Mulimbimby and read an extract from Veny’s latest book, Travel Under Any Star. 3) What do you think the main personality traits of a writer are? Are they all outsiders? 4) How do you write the ‘gaps’ and mysteries of life? 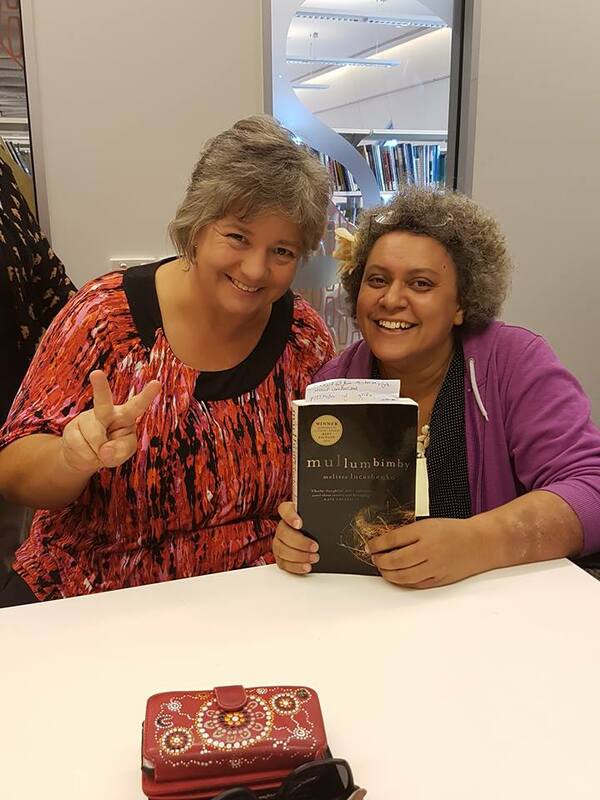 Melissa shared the story of her Russian and Bundjalung heritage. The Bundjalung was hidden to prevent them from being removed from their family. Her mum was poor and had no books, but the library was a savior and a wonderful place to be educated by books. Of course now Melissa has been able to connect with her Indigenous background and communities. Veny shared that for him there was an initial feeling of two worlds, one of Little Sicily (full of food, love, family), and the other of Australia (the nightmare zone, school). There existed a schism which began with his very long name, which was shortened by a teacher to Veny. He felt his family didn’t accept Australia as much he wasn’t accepted. But he felt although childhood had its moments, not living in a comfort zone can make you into a great writer. Melissa then discussed the idea of centre or margin. Who is the centre? How you see yourself depends on how much power you have. She described a difference between Indigenous people who were settled onto missions and those who were able keep a stronger tie to country and come and go and see others come and go. She gave the example of Wesley Enoch and quoted from him. Veny felt that he came from a much most privileged background, than many Indigenous people experiencing being outsiders. And at one point in Brisbane being Italian actually became cool. Especially through the Rocky movies. Girls who hadn’t wanted to date ‘wogs,’ now asked Italian boys out. He made the interesting observation that when migrants move they take the time frame of when they left with them, meaning that the culture they have with them and keep alive in the new country is in many ways frozen in the past. But the country they left moves on! This meant that years later when he travelled to meet relatives to research a novel, they asked why he spoke the way he did, no one speaks like that anymore. I was especially paying attention to this comment, because my mum has said that her village language has shifted a lot, and I should ask my cousin for help with contemporary translation. Melissa told us that one of her relatives had passed himself off as Italian as it was cooler than being considered Aboriginal. She felt ashamed that for a time her family had denied their Aboriginality but she understands their reasons for keeping it hidden. In discussing the writer as outsider, Melissa pointed out the alienated outsider, and individualist is a Western construction. She wanted to focus on the outsiders who are without power, the people who are outsiders but don’t choose to be – unemployed young people, children in detention. Veny, felt there is wide road, a middle road, a white bread, approach, and writers can challenge this by writing from outside the middle of the road. He then got into a bit of a discussion of politics. 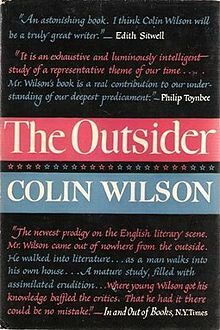 Veny quoted an author, Colin Wilson, who writes The Outsider. ‘Life itself is an exile. The way home is not the way back.’‘ He felt the writer asks questions, without necessarily wanting a definitive answer. For Veny, writing is about having things to investigate and avoiding a confusion. Lauren brought Letters to a Young Poet into the discussion. Writing is not to solve the issue but to leave the issue to linger. I have never heard of this book, and looking through some of the information about it online, I now long to read it! 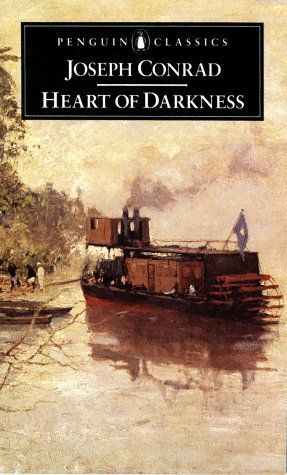 Through the presentations of Veny and Melissa, Lauren, added some beautiful quotations, including one from Joseph Conrad’s The Heart of Darkness. Where Kurtz speaks of ‘the horror, the horror.’ Writers circle around the big questions of life. What is this horror? She also asked what can writers do when the world seems to be splitting at its seams. She was horrified by what is happening in her prior home in America, which she views as experiencing societal mayhem. Veny argued that popular fiction, crime fiction, presents questions even when a crime is solved or answered, because the focus is on why did someone do something, and this is this deeper question that will keep people reading and coming back for more from that author. 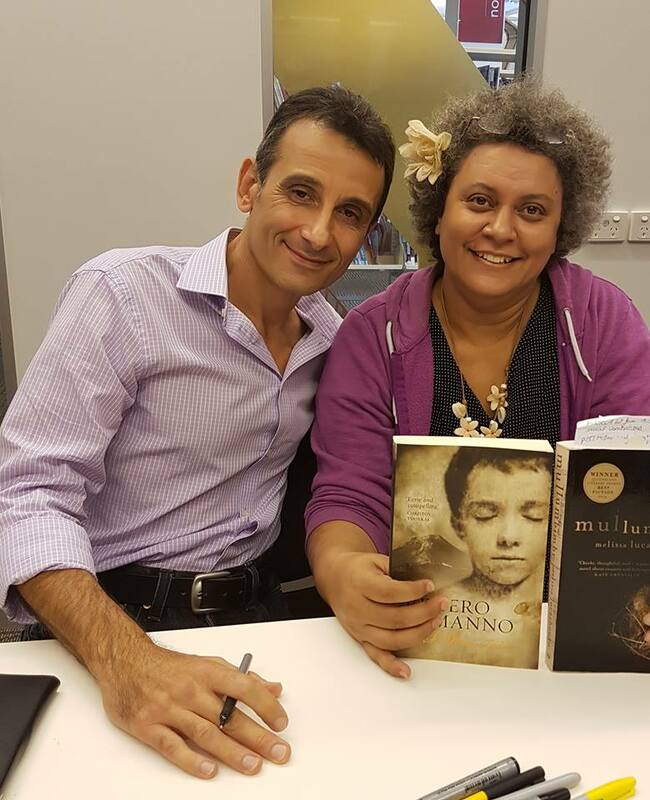 Melissa felt her major project was to write mostly Aboriginal characters and give them humanity. She felt that humour and insight and rural settings however could make her work appeal to everybody. She is however working on some tougher satirical work. A bit of a discussion of dangerous and banned books then happened, and Veny mentioned that ‘American Psycho’ is still on the banned list of books for Queensland. There are times when those in power fear the power of books. Melissa also mentioned the troubles Kev Carmody had with the police in the early days for simply writing the truth in songs. There were a few questions from the floor, concerning 1) The Americanisation of culture 2) How young writers can find their own voice? 3) Is diversity represented enough in children’s literature? Do enough people see themselves in literature? Veny offered some sage advice, that young writers will take a while to find their own voice, but can find mentor texts, that they admire, to be their heroes and help them develop their writing skills. They can enjoy the process of writing before they make up their mind about their writing identity. Melissa said, that diversity is improving in children’s books, and children do not necessarily have to see their culture specifically in a text, but something they can identity with that is universal, but of course there could be more diversity as well, and more seeing of oneself in the stories. She also gave an example of a piece which she enjoyed except for its depiction of an Aboriginal character. Lauren, as an American resident in Australia for 17 years, shared that she had worked with Australian Authors of rich diversity, to ensure they were published. She didn’t want to see a disappearance of the cultural diversity in the world of publishing. She pointed out that not all American literature is the same either, it has a rich diversity, which also has gradually come to the attention of the world. (Later I mentioned to Lauren, that the students I tutor at QUT have been enjoying Toni Morrison and many Australians recognise that rich diversity in American literature). I have done my best to capture the spirit of the discussion, but welcome comments from anyone who was there. Please feel free to add your impressions. A big thank you to the organisers for bringing together a thought provoking discussion. *Thanks to both Adele and Lauren who assisted in editing this piece. Thanks for the detailed recap Pearlz… make me sound a bit smarter than I am. Will repost. A very thorough rundown of last Sunday’s panel fro Pearlz.